Rocky Mountain ATV/MC will continue its longstanding relationship with Racer Productions as the 2018 Feature/TV Sponsor of the AMSOIL Grand National Cross Country Series, an AMA National Championship. The sponsorship includes the continuing direct support of competitors through the Fast Track Pre-Registration program, powered by Rocky Mountain ATV/MC’s Race Gas program. GNCC has gained a reputation as an off-road racing series that appeals to high-level professionals as well as beginning amateurs. Since 1975, it has attracted riders with its grueling courses across varied terrain. Rocky Mountain ATV/MC is the official online retailer of the series and helps to expand the series’ reach as the Feature/TV Sponsor. 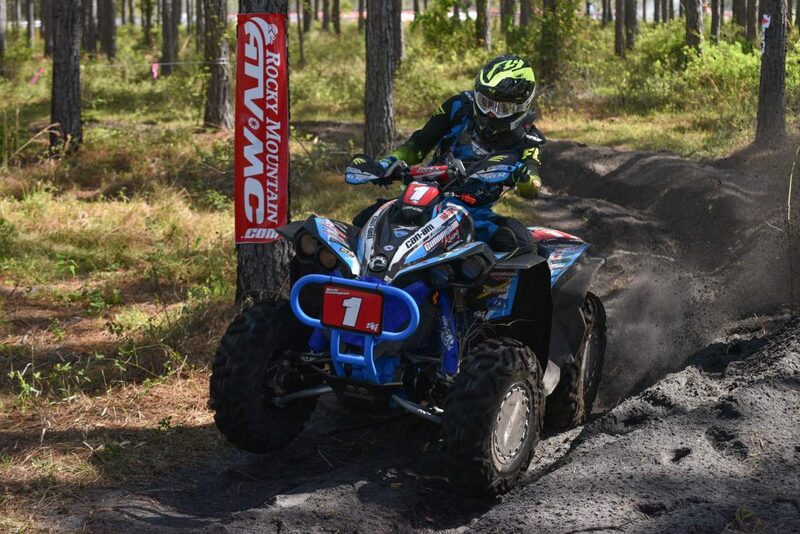 Additionally, RMATVMC serves as the Presenting Sponsor of round 11, the Rocky Mountain ATV/MC Mason-Dixon, which is scheduled to be held on September 29-30. The Rocky Mountain ATV/MC Fast Track program is available to all riders who pre-register online. All participants of the Fast Track program will receive $20 worth of Race Gas Cash for each round they pre-register to race. This credit can be used toward any product on the Rocky Mountain ATV/MC website. For more information on pre-registration through the Rocky Mountain ATV/MC Race Gas Fast Track program, go toGNCCracing.com/pages/pre-registration. Rocky Mountain ATV/MC is the trusted online source for high-quality riding gear, parts and accessories for dirt bikes, ATVs, UTVs, dual sport bikes and street motorcycles. Rocky Mountain ATV/MC has provided low prices and unparalleled customer service for over 33 years. With the RM Cash program, a fit-guarantee apparel exchange, free three-day shipping and a price match guarantee, Rocky Mountain ATV/MC continues to deliver a premier shopping experience for the off-road enthusiast. For more information, visit www.RockyMountainATVMC.com.